New Paperback and Short Story! Emissaries from neighboring countries had been arriving for weeks. The royal baby princess was still without a name, but Lynden was certain she had more jewels than even her royal mother. “Opal?” the queen mother offered as they waited in the queen’s study for Bryn to arrive. Jonathen’s sister had been to Tranta to establish an arrangement for their healers to travel to Grenald for training with Master Turry. The Queen had attempted to coerce Lynden into establishing a college like Master Turry had in Arten, but warrior mages were fairly rare and she had no interest in spending the rest of her days inside. “Absolutely not,” the queen answered, appalled by the name. Lynden smirked at the queen mother. The queen had decided to break tradition and give the princess a name that did not originate from her own. Lynden was grateful for it. The last few generations with too-similar names being passed down had been hard on everyone. Lynden hadn’t enjoyed her history lessons all that much because the memorizing was horrible. 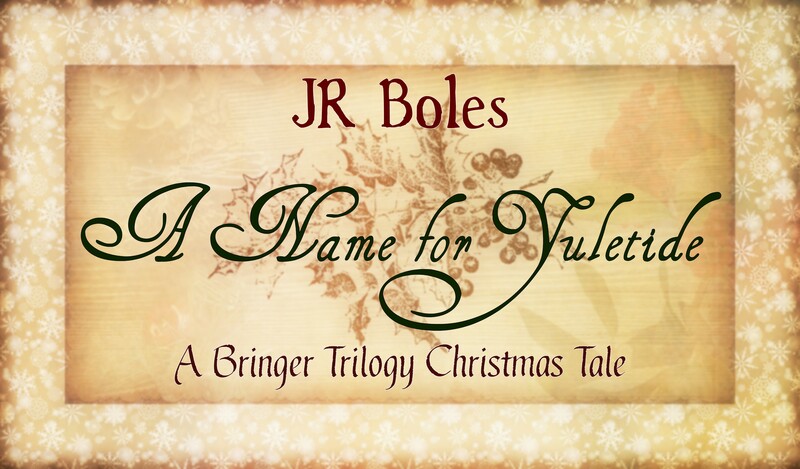 “What will you and Jonathen do for Yuletide, Champion?” the queen asked to stop her mother from continuing to offer names for the new princess. The king and queen had been fighting bitterly over a name, and the queen mother was obviously anxious to offer a solution. The whole castle was tense from their fighting. The queen looked over at her mother and nodded silently. She understood, but everyone knew the king and queen just couldn’t agree. Lynden didn’t envy them that. She’d heard them yelling at each other once when she was returning from the tunnels beneath the castle with Master Ada. They’d both spent hours down there making a map for any mages to follow to ensure that no one else suffered as a wind mage had suffered the previous year. The young woman had all but lost her magic to a trap left by the damned. The queen continued to supplement Arten’s treasury from the dragon’s horde making Arten one of the most successful trading partners for the first time in several generations. The queen sashayed out of the room. “She has one day until the Yuletide Ball to choose a name,” Ada said with a sigh. “She knows.” The queen mother didn’t make eye contact with any of them. “Knows what?” Bryn asked as she stepped into the room, cheeks bright from the winter chill outside. Lynden jumped up and pulled her into a tight hug. She’d been nervous about Bryn returning to Tranta. She knew some of Bryn’s story now, and she thought the queen had been asking too much. “The princess needs a name,” Lynden said shaking her head. “Maybe you could provide them with a list of historical heroines?” Lynden asked and everyone looked at her like she was crazy. “Actually, that’s brilliant. Would you mind, dear?” the queen mother asked, taking a sip of her ever present tea. Bryn brightened at the idea of a historical research project. She pulled Lynden over to the sofa and looked at the room. The queen mother motioned for her to continue. “Exactly like you thought they would,” Ada said, looking at the queen mother. She nodded. Lynden leaned against Bryn and smiled at her. Grenald couldn’t go directly to Trenash to set the deal. Tranta always had to initiate their treaties much to the consternation of every other nation. Bryn ensured that Grenald would get their deal. “She really hasn’t named the princess yet?” Bryn asked when they’d left to walk back to the Trenadin House. They were due at the family Yuletide dinner. Tonight was for family and tomorrow for their country. The Yule ring was a traditional bread twisted into a ring that had eluded their mothers since they were young. “Maybe we should make it this year?” Lynden asked mischievously. Lynden laughed. Their mothers had tried to teach them all basic baking, but Lynden and Bryn had never had the patience. Jonathen could bake. He made the best pumpkin bread. “He is not mooning over me.” Lynden blushed furiously. They found Jonathen in the library with Lynden’s dad. They had nearly a dozen books open and were poring over the pages. “What’s going on here?” Bryn asked. She looked completely upset that anyone would be researching without her. “We’re looking for a name to offer up for the poor princess,” Jonathen said. He crossed the room and kissed Lynden on the cheek and hugged his sister. “Are the mothers trying to bake the Yule ring?” Lynden asked him before he went back to the books. “Thanks so much for volunteering me for that,” Bryn said, already nose deep in a book. Anyone else would have meant that sarcastically, but Bryn was entirely in her element and happy. “Well, I could hand you things when you ask for them. I won’t actually touch the bread, I promise,” Lynden answered, raising her hands in the air. If she touched the bread, it would burn. It was downright risky to even let her stay in the kitchen when anyone was baking. Jonathen laughed and took her hand to pull her from the room. Once they were out of her father’s sight, he pulled her to him and kissed her a proper hello. Lynden melted against him, feeling the warmth of their relationship still tinged with sadness over Roan. She wondered if she would ever touch Jonathen without feeling the echoes of her loss. She and Jonathen had been taking things slowly for the last year. He’d been annoyingly patient with her at times. She gave him one more quick peck before heading to the kitchen. They found their mothers in a heated debate as they gestured to the burnt ring of bread that had once again failed to rise. Lynden cleared her throat before it grew into the fight they had every year. The mothers turned and sort of sighed happily when they saw Lynden and Jonathen together. “What is it you need dear?” Lady Oren asked. “Father and Bryn are looking through the histories to make a list of heroines for the queen to pick from. Queen Mother’s orders. We thought it might be best if the two of you made sure the names were actually, um,” Lynden floundered. Bryn would list every Heroine no matter how absurd the name, but she didn’t want to say that in front of her mother. “Appropriate,” Jonathen finished, smiling ruefully at Lynden. “The list will need a mother’s touch,” Lynden added. Lynden cringed at the name. She hadn’t heard that story. The mothers cleaned up and handed Jonathen the recipe after making sure that Lynden wasn’t actually going to be baking. Lynden rolled her eyes and looked pointedly at the results of their own baking attempt, but they ignored her. “Jonathen!” She thumped him with her hand. Sometimes it was inconvenient that he knew all her stories. She gave him a look and set about cleaning up. Their staff would be having their own Yuletide dinners, and their food was already cooked and waiting for them. Jonathen winked at her and then held up the recipe. They lined up all the ingredients and Jonathen even asked her to measure some of them out. She eyed him wondering if she should really even be doing that if he wanted the bread to rise. He grew quiet as he mixed the dry ingredients together. Lynden waited. She knew that expression. He was turning over something that meant something to him wondering how to ask it. His mouth was turned down at the corner, and Lynden had to stop herself from kissing the frown away. “Have you ever thought about names?” he asked quietly. He hadn’t said their kids though he had to know if she was having any babies they were going to be his. That he’d carefully phrased it to leave him out made her wonder if she hadn’t made her commitment clear. Lynden nodded, smiling at how happy the conversation was making him. She silently kicked herself for his doubt. She’d been grieving and selfish where she should have been giving him her love and reassurance. Lynden looked back at him. She’d been putting things away to help their cook. His father had been such a good man, and Lynden thought the world of him. He crossed the room and kissed her soundly. Lynden leaned into him and wrapped her arms around his neck. She pulled him into a hug after and snuggled her face against his neck. He pulled back and looked at her in surprise. She gazed up into his soft hazel eyes before reaching up to brush flour from his cheek. She frowned. She felt like she would always be mourning Roan, Tully, and Marnin. She felt like each of them had taken a piece of her soul with them when they died. “I want this life with you,” she started. He turned and began to braid the bread dough into a circle. She watched his tanned hands carefully twist the dough, and she knew that it would rise and be beautiful. Their first Yule ring as a family. Their mothers were never going to get over it. She knew what she needed to say. Seren had berated her for not saying it before she’d left to help Quin find her mother. She reached into her pocket for the letter she always carried. This time though instead of keeping it secret from him, she pulled it out. Seren had saved all the letters she’d written to her loved ones when she thought she was going to die. After he put the bread in the wood-fired oven, she pressed it into his hands. He looked at the letter and then up at her. She chewed on her lip and started pacing, unable to stand watching him read it. His letter had convinced her that she would choose Jonathen over Roan. She loved them both. How could she not love them both? But Jonathen was the one she needed. He folded it back up and slid it into his pocket. He was breathing heavily. Lynen quit pacing and waited. He crossed the distance between them and hugged her tight. Lynden felt their mothers in the kitchen. She couldn’t believe she hadn’t noticed their power drawing near, but she’d been completely focused on Jonathen. Her mother was smiling at them with a gentle look on her face. Jonathen squeezed her hand and then went back to the oven to check on his bread. Lynden’s mother reached out and patted her arm before uncovering the soups and helping Lady Oren get dinner ready. They both peeked into the oven at the beautiful ring that Jonathen had made. “At least there is one baker in the family,” Lady Oren said before kissing Jonathen’s cheek. Lynden laughed. At least she was a better cook than Jonathen. And she was certain she could still best him at sword play. She held her chin a little higher. He could have the baking. At dinner, everyone marveled at Jonathen’s triumphant Yule ring. “It’s almost too beautiful to eat,” Bryn said, eyeing it with approval. She had an ink smudge on her chin and a list of names next to her plate. “It smells delicious,” Lynden added. Jonathen reached over under the table and took her hand. Something had changed between them in the kitchen, and he no longer held back as he’d been doing. Lynden was ashamed it had taken her so long to clear the air between them, but she held his warm hand in hers over her thigh and smiled at him. Their every touch eased her heartache, and she would hold his hand all day if he let her. Bryn cleared her throat dramatically before lifting her list to read. “Better leave Amaline off,” Jonathen said and winked at Lynden. “I want that one,” Lynden said, embarrassed to be talking about her own baby names before she was even married. Bryn’s eyes went wide and she sat with her mouth open for too long. “Marking that one off right now,” Bryn said finally, her voice a bit high. Lynden gave Jonathen a look to say thanks for embarrassing her, but she was also happy to protect the name she wanted. She thought it would mean something to Tully that she chose his wife as namesake. She missed him. She needed to go back to visit his stone grave, but she hadn’t been brave enough to face it because Roan’s was so close. “Wasn’t Isleen originally from Grenald?” Jonathen asked to move the conversation away from Lynden. “You’re right!” Bryn circled that name and then put her list down. Lynden hoped it would be the solution to the king and queen’s trouble. Her father started in on his favorite Yuletide story of Jonathan’s father, and they passed the evening sharing their cherished memories. It was something that her father’s people did to share their connection when the holidays made losses keenest. Lynden had always appreciated that it reminded Jonathen that he wasn’t alone. And it reminded him to laugh about his father. Jonathen added a story about Marnin this year that left Lynden speechless, but she shared her own tale about her friend and squeezed his hand under the table. Bryn woke Lynden up early the next morning to take the list to the queen. “If they are smart,” Lynden said a bit grumpily. She’d stayed up late with Jonathen, having snuck off to a Yuletide party with his less than reputable friends. Lynden adored them all. They took the list to the queen’s study where they waited for the queen to arrive. Lynden stood and bowed when both the king and queen arrived. The king had a pink bundle in his arms, and Lynden crossed the room to reach out for the princess. She loved holding her. The king smiled down at his daughter. Lynden knew he liked her because he’d let her hold the princess. He rarely gave her up when he got his chance to hold her. Lynden bounced on her heels to keep the baby happy like the queen mother had showed her. “The queen mother tells us you have a list of names,” the king said and he pulled his wire glasses from his pocket and perched them on his nose. They all eyed her for a long moment while she continued to rock the baby. Bryn read them the list, and King Amon asked her enough questions that she was excitedly sharing far more of the history than she’d thought she would be able to tell. The queen crossed the room and ran her hand over the soft blonde hair on her daughter’s head. The princess had fallen back to sleep. “You know, I think you might be right,” the king said suddenly at her shoulder. Lynden looked up, completely blind-sighted. She’d just assumed that the queen mother would do the naming. It was a lifelong honor to the royal baby. Lynden would be expected to council her for life. She looked over at the king for him to object, but he was looking at her in the way he studied texts and she felt incredibly uncomfortable. Lynden huffed out a sign. She looked down at the sweet baby, and hoped she didn’t let her down. She left Bryn to answer all of their name related questions, and she rushed back home. “Mother?” she called from the entry way. “Meet who where?” her mother asked walking in with a basket full of fabric. “I’m still standing right here,” Lynden said as they continued to discuss how proud they were that she’d figured out she needed a new dress all on her own. Lynden waited. They could go on for a while once they got started. “Or maybe forest green and gold? Like the Oren crest?” Lynden offered. “So he will be asking us?” her mother asked her hand over her heart. “Oh, come on then. Randall, please send Angela up to do the final touches. I’d meant to do this yesterday, but it’s just as well. The softer green one won’t do for a naming ceremony. My daughter, naming the princess. Your father is going to be so proud.” Her mother continued on with the details all the way to Lynden’s old room. She left her to wait for their maid Angela while her mother went off to tell everyone she could find about Lynden’s honor. Angela helped her into a thin lace dress that she was certain was going to have her shivering all night, but she had to admit that the darker blue was lovely. There were a few things for Angela to fix, so Lynden left her to it. She was grateful that Angela no longer reacted to her scars or commented on whether or not she was gaining weight. She was gaining weight, slowly. Her mother made certain of that. It seemed like it was going to take years for her body to heal from the torture she’d endured. Jonathen was in his office when she stopped in to check on him. He was carefully reading another recruit list, and she stopped to watch him. His honey blonde hair had the telltale grooves from him running his hand back through it. She wondered what had him so stressed. She pulled the soft rolls from her pocket and plopped one down on his desk in front of him. She took a seat in one of the two guest chairs he had for meetings and took a bite of her own. He shook his head and picked up the roll. They had a soft cinnamon and sugar center, and they’d been his favorite since they were very young. If she could bake, she’d make him these rolls. Lynden had definitely been dreading it a bit, but balls were not really something she looked forward to anyway. She gave him a look. Of course he believed that. It would never occur to him that she might fall on her face or forget the words in front of hundreds of people. He stood up when she did. She gave him a look when he pulled his door closed behind him. She kissed him in the hallway of the watch tower, and heard officers snickering at them behind her back. She smiled up at him when she stepped back. Their teasing didn’t bother her one bit. She kissed him once more just for good measure. She ran a hand over the shoulder of his uniform. He put his arm around her as they walked out of the tower that the city guard called home. “This dress sounds intriguing,” he whispered into her ear. She shivered for an entirely different reason. He kissed her cheek and gave her a mischievous grin before heading off in the direction of their houses. She watched him walk away and shook her head at him. By the time she was dressed, she’d practiced her part of the ceremony with her mother at least forty times. She was almost sick of the words, but she had them now well enough that her nerves weren’t likely to rattle them out of her head. Her parents were both idling in the entry way while she waited for Jonathen which she found more than strange. She started to ask what was wrong with them when Jonathen opened the door. He’d quit knocking when they were teenagers, and Lynden loved that he and Bryn never felt like they needed permission to enter her home. They were family. “You look beautiful,” Jonathen said as he gave her a half hug, careful not to catch his medals on her lace. Instead of turning to greet her parents, he dropped to his knee. Lynden couldn’t breathe when she realized what he was doing. He held her hand in front of her. She stood there speechless, ordering her mouth to move, to say yes. She raised her free hand and touched his cheek. She didn’t like him kneeling before her. They were best friends, partners. She dropped to her knee. “Of course I will,” she whispered still unable to command her voice to work quite right. Eye to eye, he slipped a beautiful golden ring with a dark blue gemstone onto her finger. He kissed her hand where his ring now rested and then kissed her. He brushed her cheek and she realized she was crying. “Finally!” her mother exclaimed behind them. “Rosarin!” her father admonished, and Lynden couldn’t help but laugh. Jonathen joined in, and they began their next adventure together with laughter.